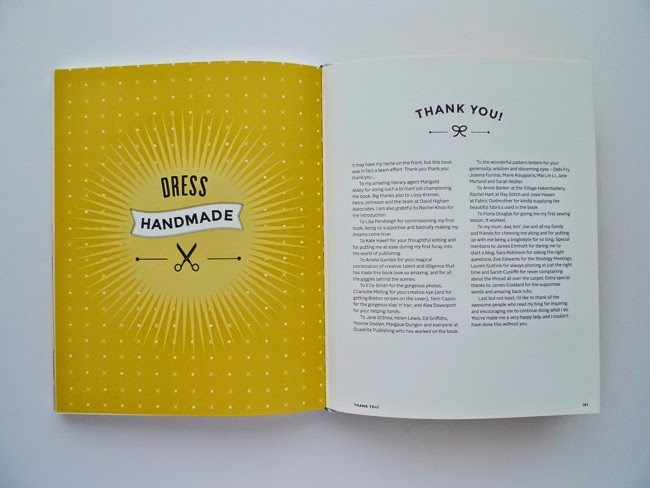 I wanted to create a book that looks fresh and modern, with bold colours and graphic prints rather than the expected tropes of a craft book (florals, bunting etc). The super talented and all round incredibs designer Arielle Gamble did such an amazing job! 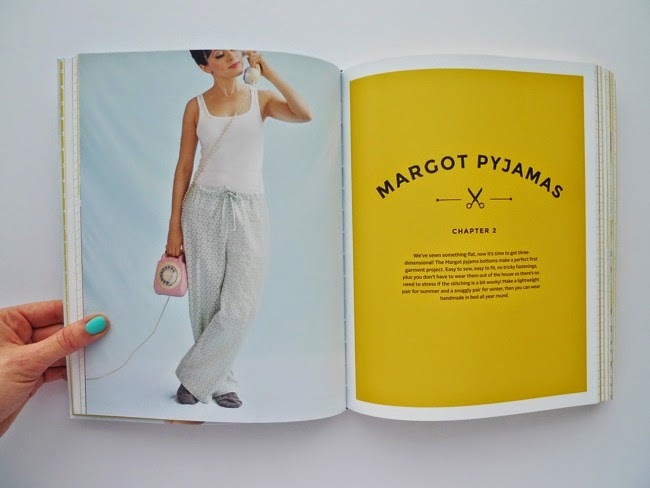 Arielle took the step photos, while the finished garment and "lifestyle" pics were styled by Charlotte Melling, the Creative Director of the drop-dead gorgeous Betty magazine, and shot by one of Betty's favourite photographers, the lovely Ellie Smith. Add to the mix the supremely clear-headed editorial skills of craft author Kate Haxell, plus a whole team of brilliant pattern testers, and no doubt many more people behind the scenes at Quadrille, all overseen by the lovely Lisa Pendreigh who commissioned the book, and I was in pretty safe hands. 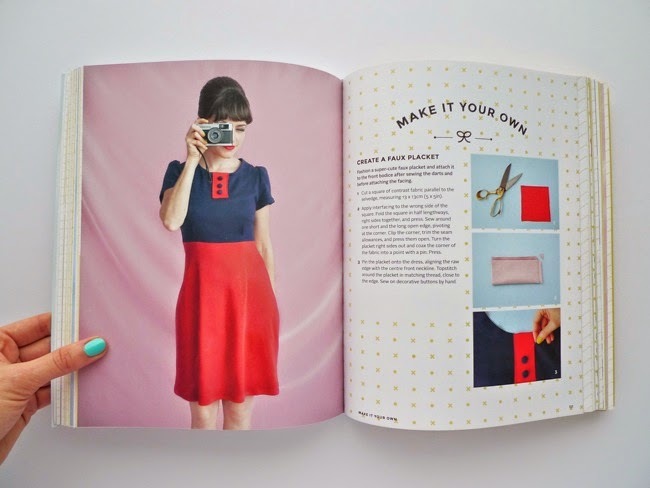 The book takes you from the basics of using a sewing machine through to creating a wardrobe full of adorable clothes that you'll be proud to say you made yourself. 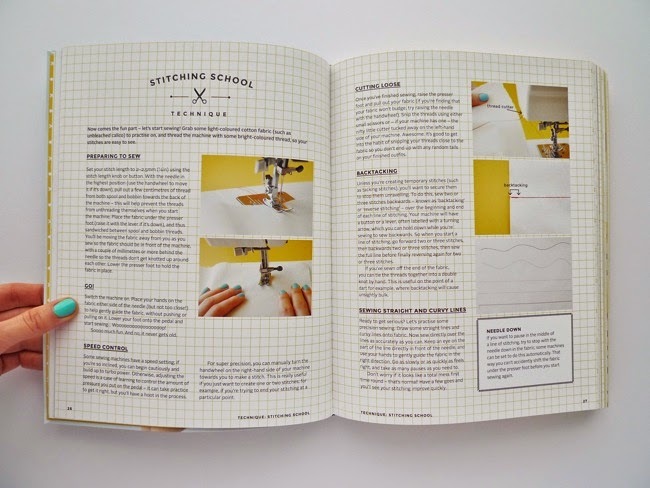 This isn't a traditional sewing manual - it's a book about learning by doing. 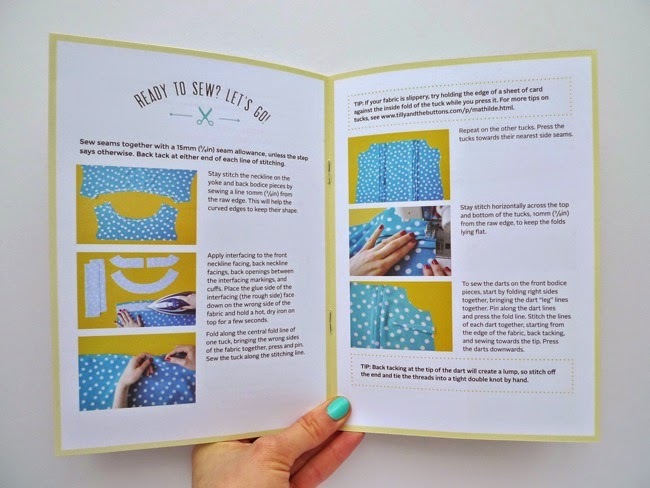 Each of the seven chapters centres around a project - from the easy peasy Brigitte scarf, building in complexity through PJs, skirts, dresses and a blouse to the impressive lined and pleated Lilou dress - showing you the techniques you need to make each project as you need them. After all, you don't need to learn five different types of seam finishes before you can make a skirt. 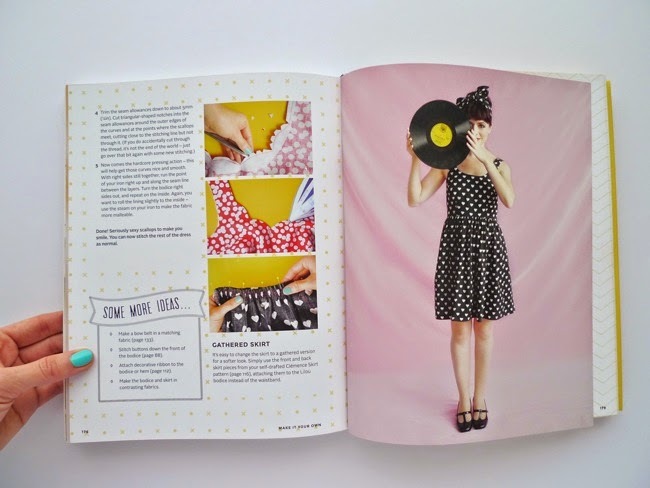 You just wanna make a skirt! 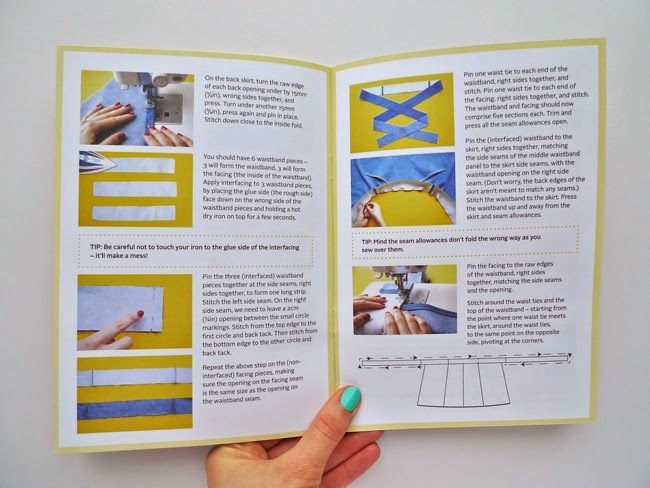 If you're a new dressmaker, you'll build your skills and your confidence one project at a time, until you have a whole load of techniques under your belt as well as a whole new wardrobe of gorgeous clothes made by your own fair hand. 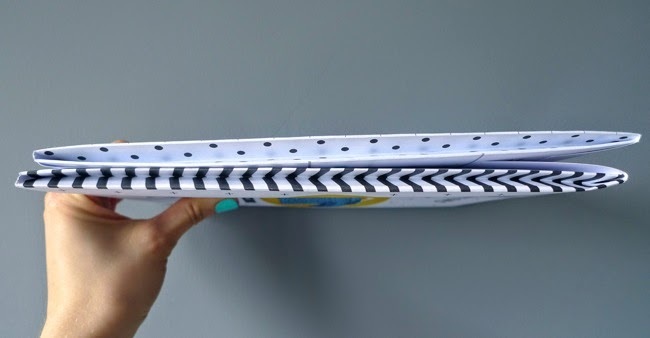 If you've been sewing for a while, you can skip the techniques you already know and get straight to the patterns. The book comes with full-scale pattern sheets in eight sizes (sizing chart here), ready to use or trace off. 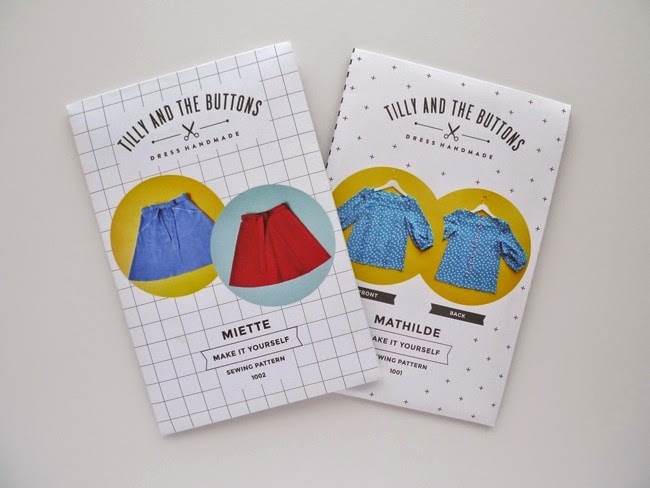 These are new patterns: Margot pyjama bottoms, Delphine skirt, Megan dress, Mimi blouse, Lilou dress - plus instructions for drafting your own simple patterns for the Brigitte scarf and Clémence skirt. 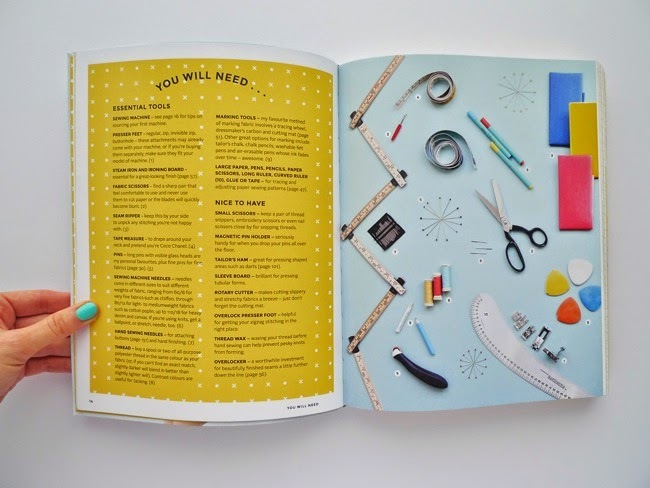 Each chapter also includes a 'Make It Your Own' section with tutorials and ideas to add your own special touch to the projects. 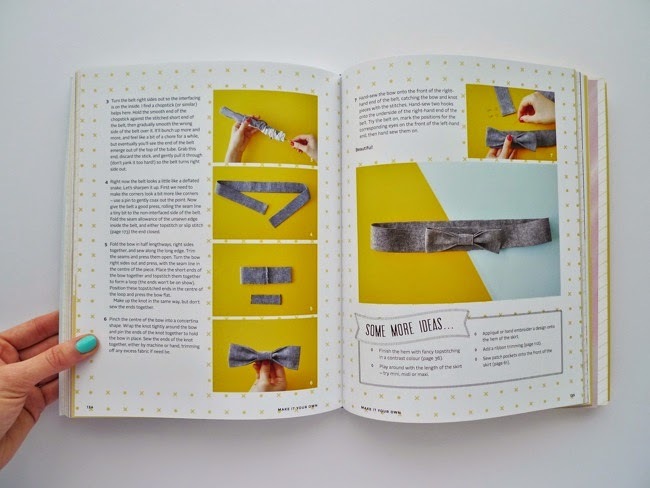 Every chapter also has a 'Make It a Lifestyle' section in which I share (possibly slightly tongue in cheek) hints and tips on the DIY dressmaking way of life - from fearless sewing to how to behave in a fabric shop. 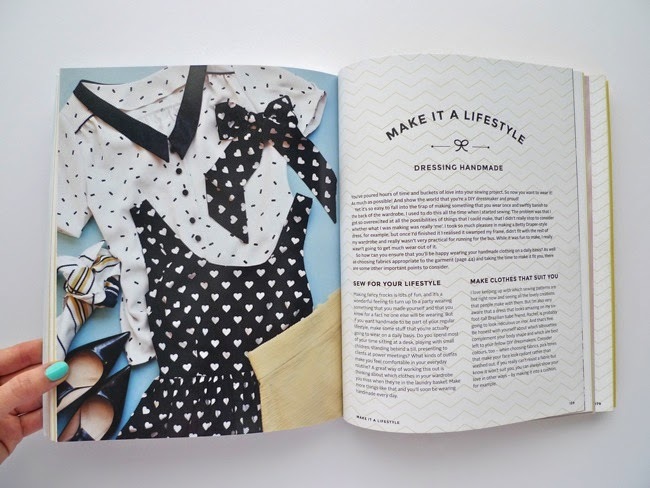 I'll share more this week about the book, including photos of the pattern designs, which I know some of you are itching to see. 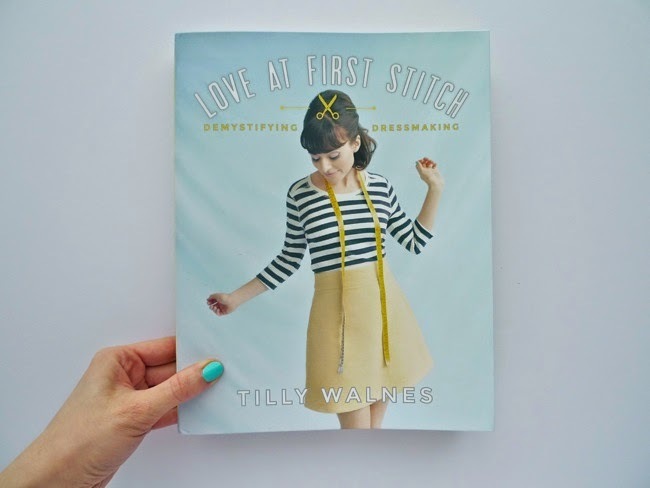 And don't forget the #LoveAtFirstStitch online launch party on Thursday - I can't wait to see your Brigitte scarves! 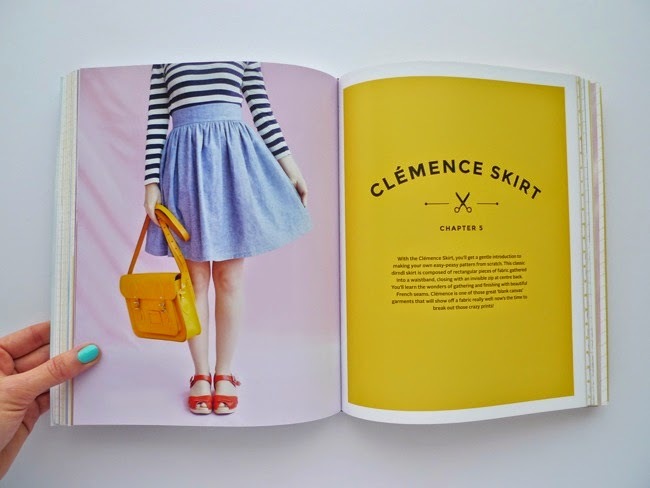 Here's some inspiration to get you going... and did you see Rachel's adorable styling post? 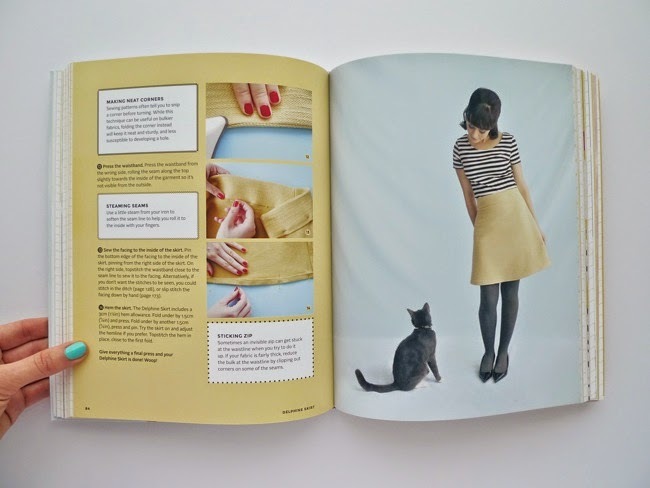 Oh yes, and Miette and Mathilde are now in print! With more sizes! A jargon buster! Annotated pattern pieces! And gorgeous colour photos of each step! Ooh and in an all new snazzy envelope - just look at how awesome they look from the side! A little surprise touch for those of you who stash your patterns on a bookshelf :) I'm going to update the online instructions in the next couple of weeks with the beautiful new step photos (also taken by Arielle - I didn't let her get away), please bear with me in the meantime, it's been a busy few weeks, phew. "I'd like to thank all the awesome people who read my blog for inspiring and encouraging me to continue doing what I do. You've made me a very happy lady, and I couldn't have done this without you."